Question: How do I get my iPhone, iPad, Android or Smartphone etc. to project or mirror on my computer screen so I can share it with others via live projection or during a webinar? Answer: It’s really super easy but not what you’ll find when searching the web! There are quite a few different articles and how-to’s regarding apps, software’s and programs etc that can mirror your device on a computer or projection screen but none as easy as what I’m about to show you. Follow these few simple steps and you’ll be amazed. 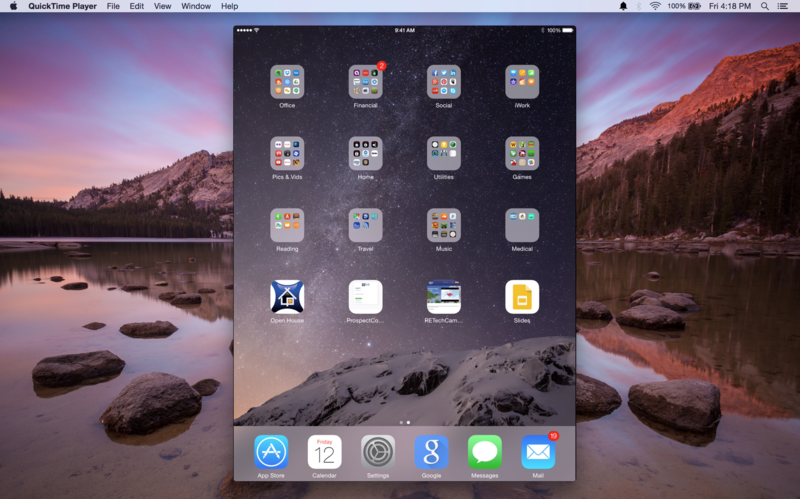 How to mirror and share your mobile device on a desktop or laptop computer. 4. 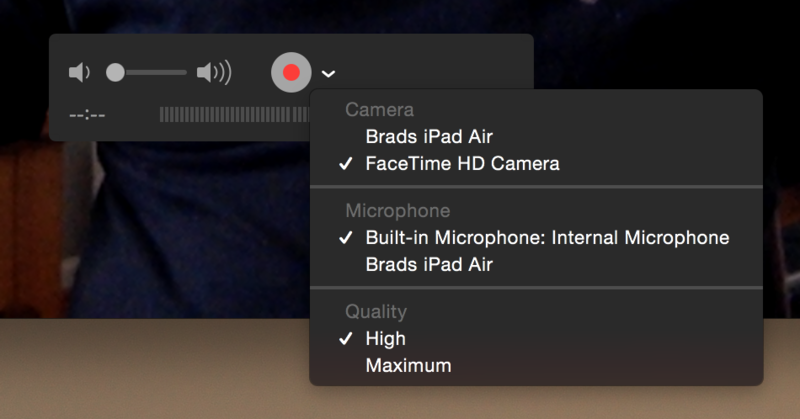 Use the pulldown menu next to the record activation button, choose your device. 5. Your device will now appear on the monitor or computer screen. Now by simply using the device as you would normally, everything you do will be shared on your computer desktop or laptop screen. Now you can share your desktop screen and mobile devices on Webex events, GoToWebinar trainings, Google hangouts, Join.me and even in the real estate cloud-based campus at RETechCampus.com. You can use this process on any sites or platforms that allow screen sharing. This is by far the easiest and most efficient and inexpensive (free) way I have encountered for sharing your device and the apps you use on a desktop or laptop computer. This is a great way to share when there are just too many people to gather around your small device. It’s a great way for trainers, developers and teachers etc. to teach and share.